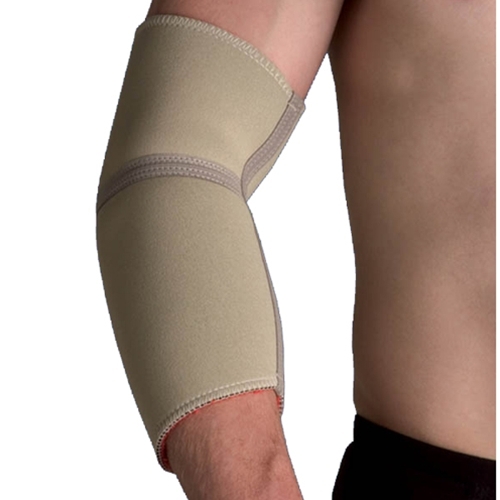 Swede-O Thermoskin Thermal Elbow Support from HealthyKin.com is anatomically designed with protection, support and thermal properties that aid in the treatment of tennis and golfer's elbow. Apply the product so that the vertical seam runs on the inside area of your elbow. Cross seam should be positioned at the point of the elbow.